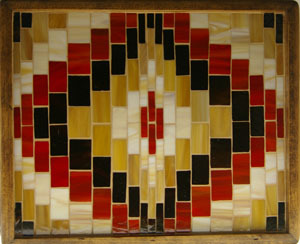 After playing with the colours and sizes in the Bargello trays , I came up with this design. Adding the red to the browns , reminded me of my many holidays in Mexico. It would add a small splash of colour to a kitchen or family room and be very useful as well.